At bon COOK, no matter your level of expertise we have a business for you. 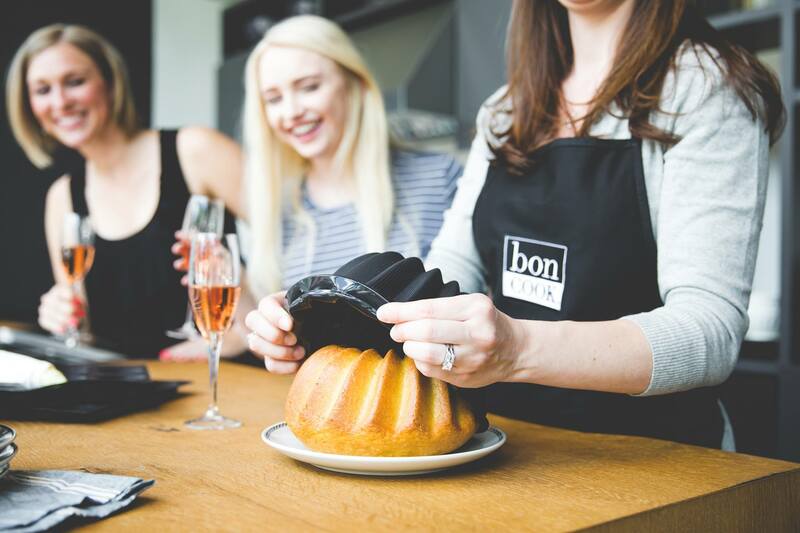 Our Cooking Community is open to everyone, and our private cooking classes keep it simple, using our amazing products to make life easy and inspire you to be a bon COOK! We show you how to “teach. share. repeat.” through a collection of assorted topics and across various levels of expertise. You will establish a better relationship with the kitchen by building confidence and skills. Feel the fulfillment of empowering others in the kitchen through classes, delectable recipes, and innovative products, all while connecting with friends. Join us at this FREE event! Enjoy giveaways, have fun, and discover more! Small bites & wine will be served. The entrance for bon COOK is located at the corner of Brown & Peabody.